Right now you can get this LEGO BrickHeadz 180 Piece Harry Potter and Hedwig Building Kit for ONLY $11.97! 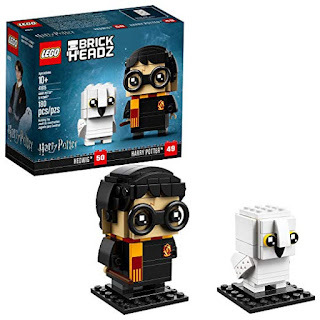 This LEGO BrickHeadz 41615 Harry Potter &amp; Hedwig play set is fun to build using colorful LEGO bricks that recreate all their iconic details, including the young wizards signature round spectacles, lightning scar, Gryffindor scarf and black cape with the Gryffindor emblem. The Harry Potter brickheadz figure also has a detachable wand and stands on a buildable collector's baseplate for easy display in your home, office or anywhere you like.